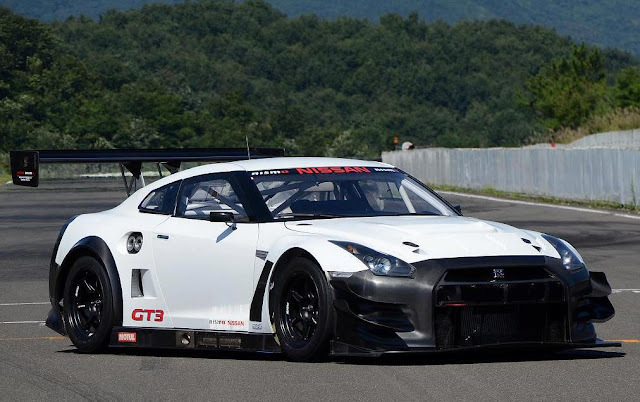 The NISMO is invading the Nurburgring, and we are expecting some big things from it. The rumors have been going on for the last several months, and now we are getting some shots of it in camouflage. 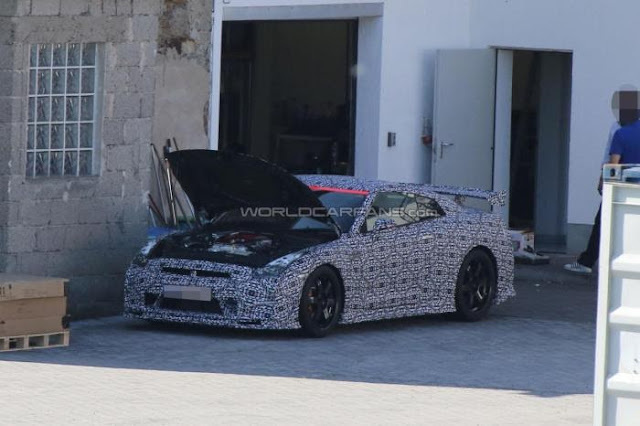 In the above picture the brake ducts in the front bumper are obvious, as the NISMO will be based off the Track Pack/Edition. The wing is big, and I am sure they have done enough testing to ensure it does the job. The rear wheels look large, or the front ones look small. Something just looks odd with them. Even more ducting to help cool the transmisserdiffercaseend. The rear shows more aero work and ducting. The rumor is that it is all carbon fiber like the GT3 racecar. The car is supposed to debut at the Toyko Motor Show in November, sporting more power, less weight, and 0-60 times in the 2.0 second range? OK,OK. I can confirm that I have asked several people at Nissan and NISMO, and that 2.0 number, no one is sure where it came from. I think someone just misheard, and they ran with it. Either way, expect more power, less weight, better aero, and better brakes. Should be a fun car.